Portland rockers RED FANG have announced a special wine collaboration with Teutonic Wine Company, a small urban winery in their hometown that make wines in the style of the Middle Mosel Valley in Germany and France’s Alsace region. 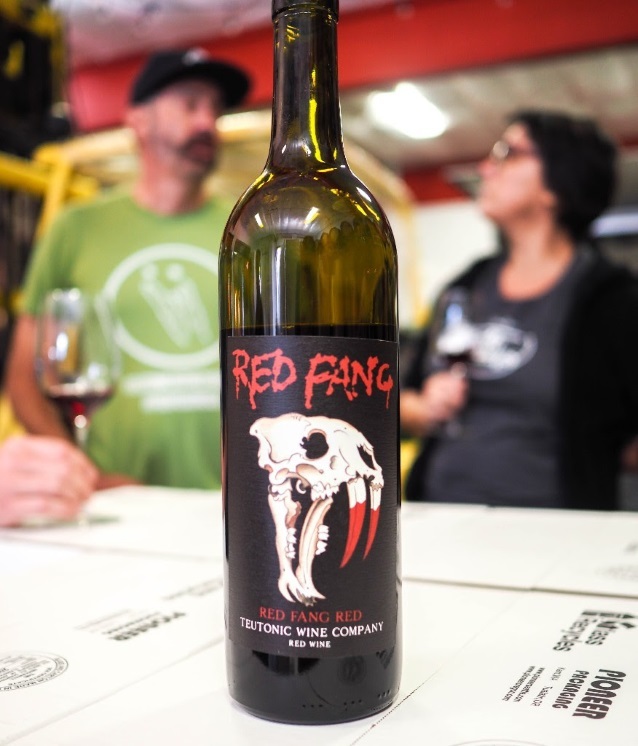 The wine, aptly called “Red Fang Red” is a blend of varieties that have never been done before: Pinot Noir, Tannat and Gewürztraminer. To celebrate, Teutonic and the band will team up for a wine release party like no other on January 13 at the Teutonic headquarters in Portland. Attendees will get to enjoy a DJ set from drummer John Sherman, a wine tasting with the band, munch on house-made corn dogs and much more. Tickets are available at this location. RED FANG, which recently returned from a European tour with MASTODON, will once again hit the road for a string of headlining dates followed by a U.S. run with BLACK LABEL SOCIETYand CORROSION OF CONFORMITY through February 10. After that, the band will embark on its first-ever full tour of Latin America, followed by a special performance at Welcome To Rockville in Jacksonville, Florida. RED FANG recently released another hilarious music video, an animated clip for “Not For You”, which was named one of the top five music videos of the year by Revolver magazine.